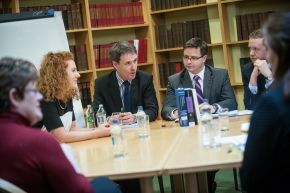 Held in both Jordanstown and Magee campuses, this event enables students to explore options with Law. Offers employers the ideal opportunity to connect with students via an Expert Panel, Exhibition and Networking. Students from a rail year groups in both LLB and LLM will be in attendance.